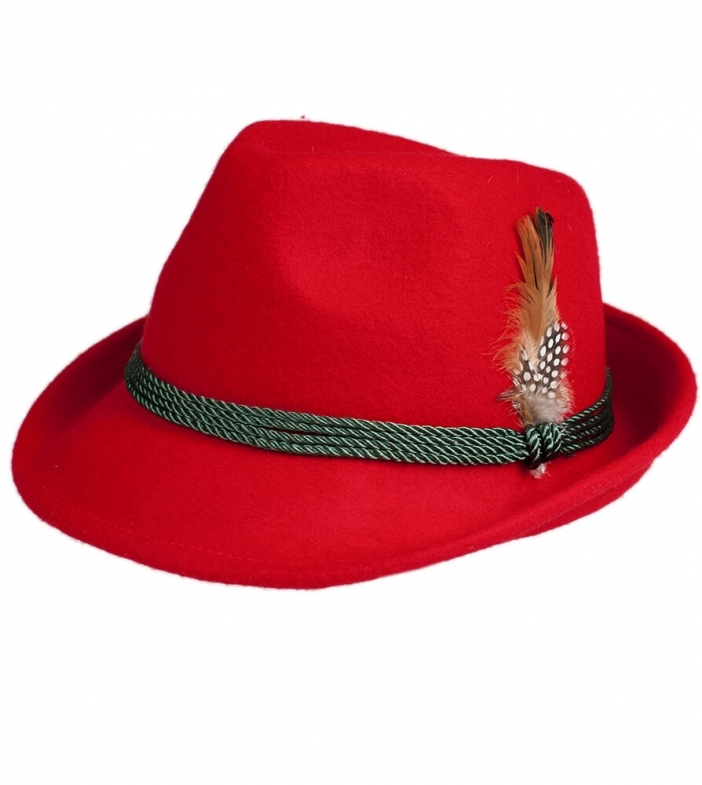 Bright red traditional costume hat. Stylish enough for any occasion, it is made from high-quality wool that has been designed to keep its shape and comes complete with a brim to shade the face on sunny days. The pheasant’s feather tucked into the hat band provides the perfect finishing touch for Oktoberfest outings.